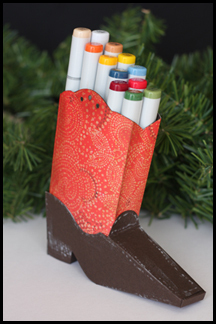 My sister, Dana, is giving away some copic markers as blog candy! That’s a real treat. You can see that here: http://stampingwithprincess.wordpress.com/2010/03/13/blog-candy-cowboy-style/. The nice thing about this is Dana will send this to whoever wins anywhere in the world. That means everyone can sign up to win these cool markers! You can sign up to win these markers multiple ways. Check out the site for details. I recently purchased the new QuicKutz die cuts and some coordinating Hero Arts stamps. 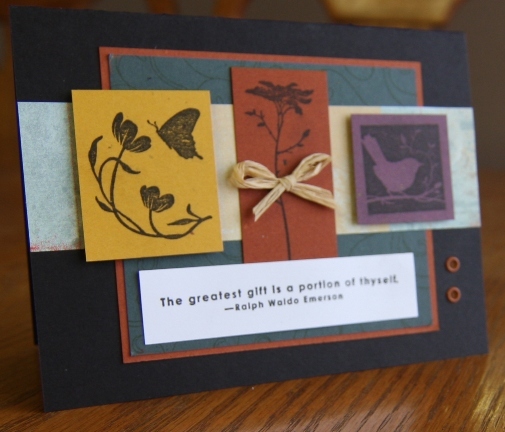 I was anxious to try them out, though I went with some Stampin’ Up stamps instead! 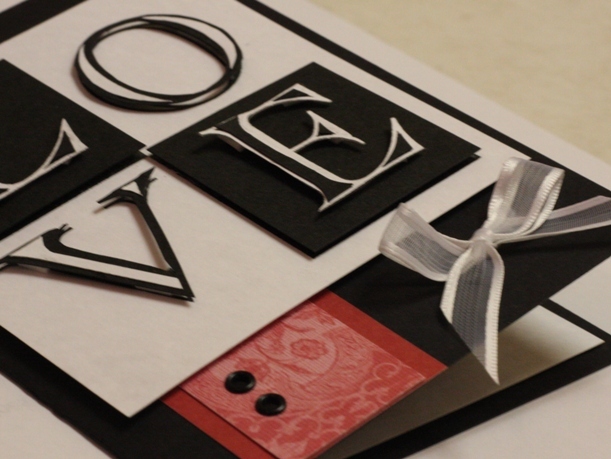 The card kind of came together as I was working; I didn’t exactly have anything in mind when I started. 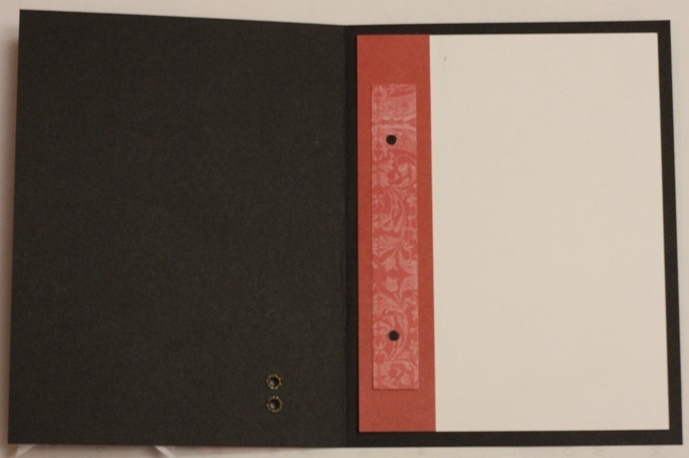 Actually, I had the green paper and the one where the tree/floral stamp is. It took a while to find some coordinating papers, but I found a scrapbooking set which not only had the paper, but the flowers, ribbon, and brads as well! It was like hitting the jackpot! I got Stampin’ Up’s new set, Of the Earth. I decided to use earth tones and must have played with how to put these pieces together for an hour! 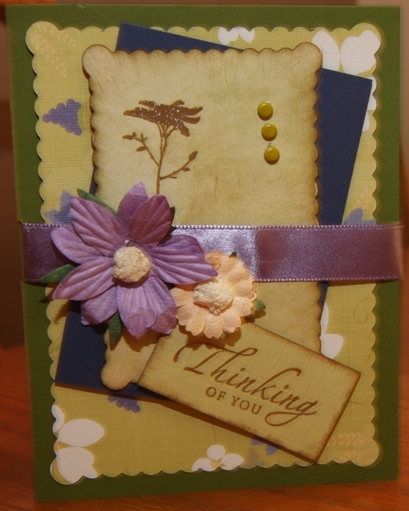 It is a pretty card, but I want to play around a bit more and see what else I can do. 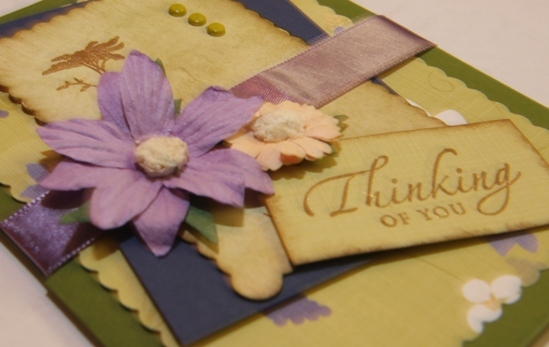 Paper: flecked yellow, rust, purple, and green; solid black; patterned paper to match. Surf’s Up, Dude! Party on! My husband and I would like to learn to surf, but we live in a land locked state! Maybe some day. For now, we just dream of surfing. Want to make this summer classic? Here’s what you’ll need. 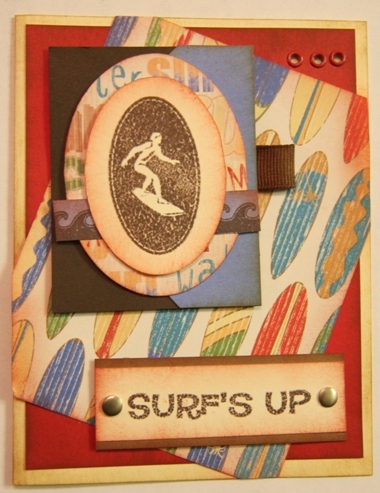 The surfer, Surf’s Up, and waves are stamps from The Paper Company Studio. There is a little brown ribbon coming from the right of the surfer area. There are red grommets in the top right corner and brad-like stickers next to the words. 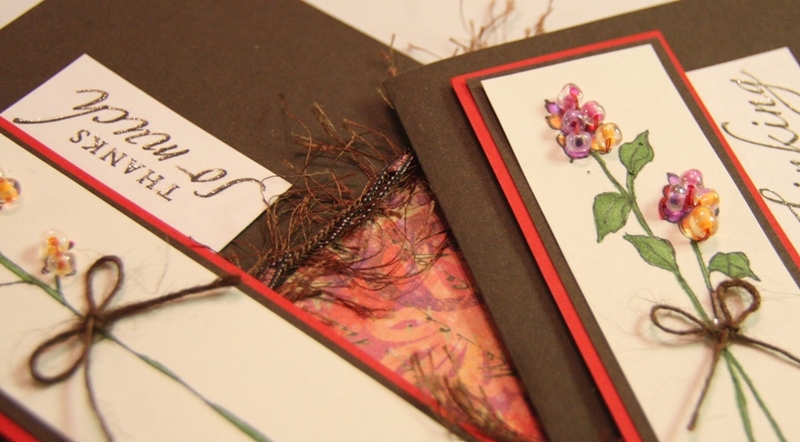 Other than that, it’s a layered card with a little distressinging around the edges using a sponge dabbed in ink then dabbed on the edges of many of the layers including the base layer of the card. Surf’s Up Dude! Catch a wave with these surfboard beauties. 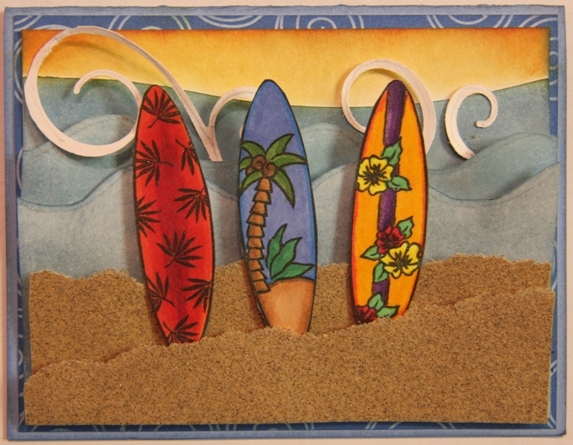 The surfboards stamp is from Denami Design. The white swirls are from a Sissix, called “Swirly”. The sand is sandpaper from the hardware store. The waves and sunset sky were made using distress ink and sponges. The sky I sponged yellow first, then added orange around the edges. Other than that, it is just a layeirng project! 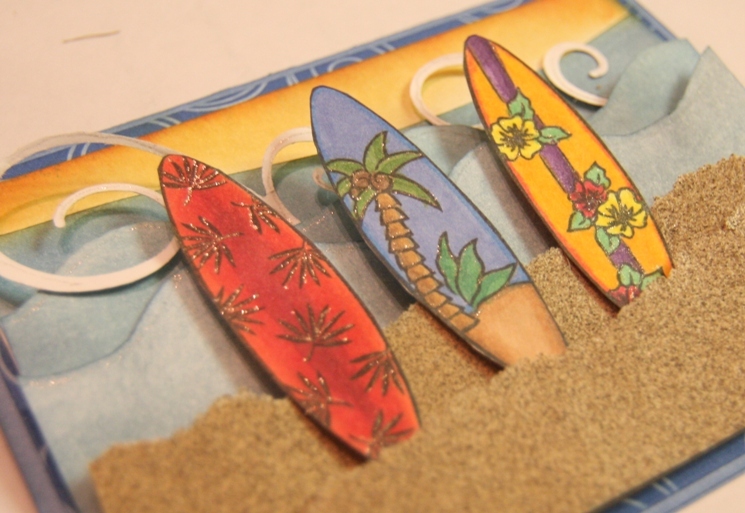 Here you can see that I used the glitter pen on the surfboards and the waves, to add a little sparkle. How about a little beads for the baby? The legs of this stork are thread, and a couple of beads take the place of the stork’s knees. 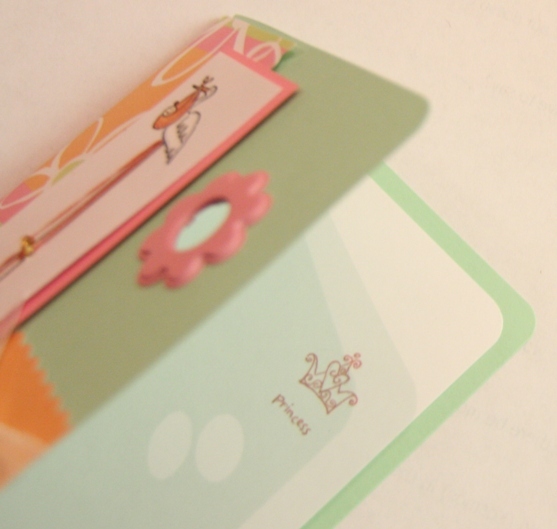 The large pink brad shows a stamped image on the inside of the card. 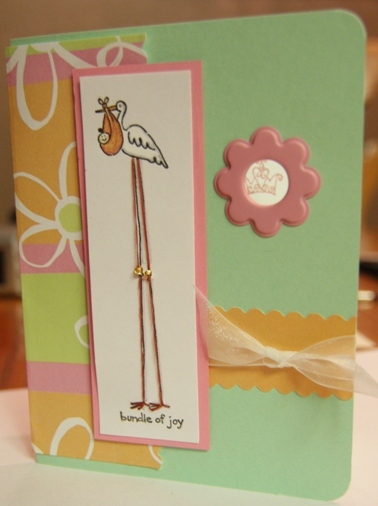 The stork and princess stamp inside are from Stampin’ Up, as well as the pink grommet. A little ribbon finishes the touches. What better way to celebrate that with some beads? 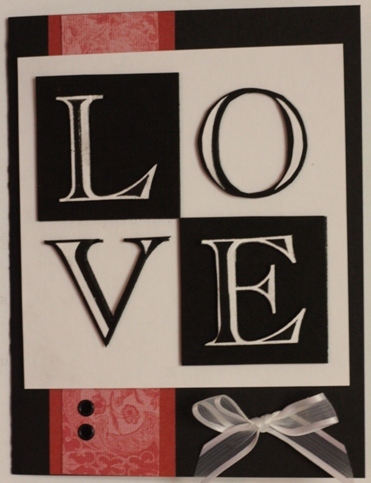 My mother was the inspiration for this card. 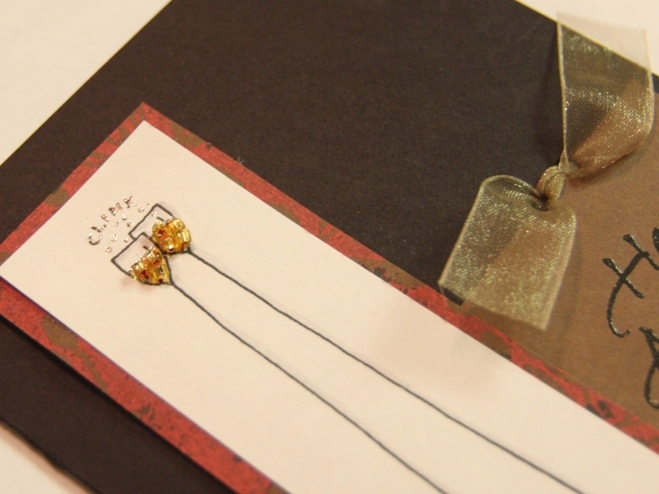 She wanted to make an anniversary card with beads. I made one too! The champagne was colored in first, then the beads were sewn on. Add a few brads and and little ribbon, and we’re all set. 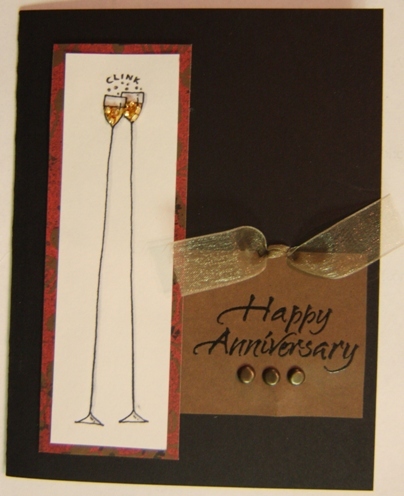 The glasses stamp is from Stampin’ Up and the Happy Anniversary is from My Sentiments Exactly. I did use the glitter pen at the top and traced the glasses in grey marker. Welcome to Bagley Stamping! – the sister of http://stampingwithprincess.wordpress.com/. For the past seven years, my stamping supplies have lived with my sister while I worked abroad (China and Bolivia). After returning to the states to live, they have now come back to me! I also got a bunch of new additions from a new sister in-law, including some beads I had an inspiration to use! Behold, the first cards with the supplies at my house! 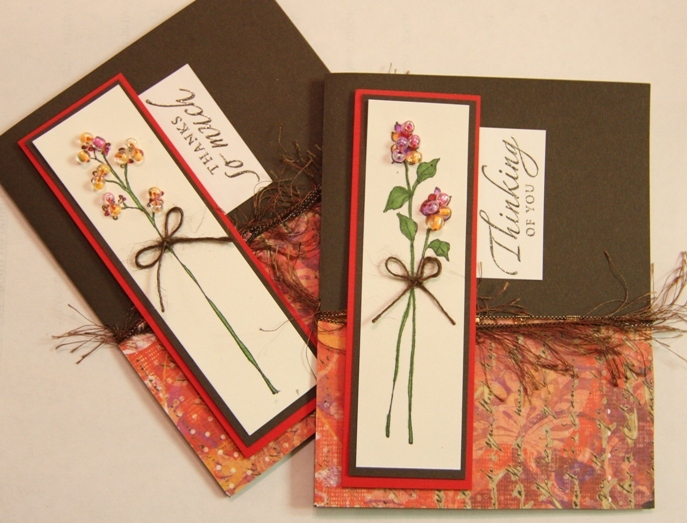 The flowers and greetings are Stampin’ Up stamps. The beads are generic beads sewn on. A glitter pen adds sparkle to the words, though you can’t see that until you zoom in. This wispy ribbon caught my husband’s attention, the first ribbon he’s noticed and complimented!